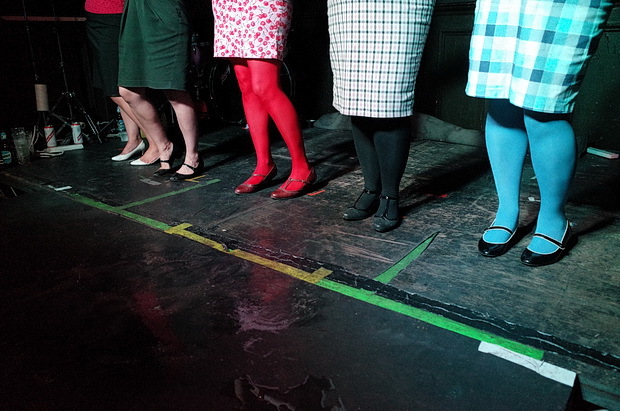 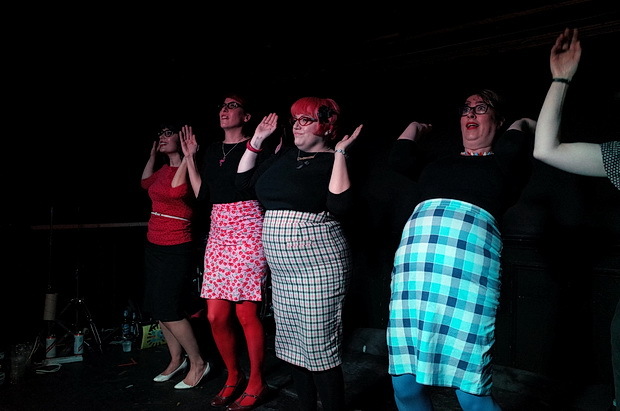 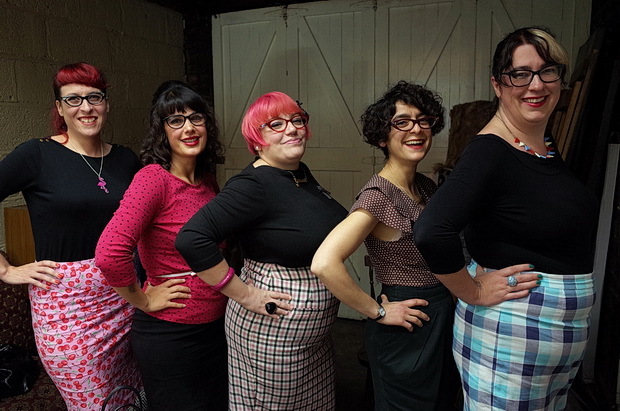 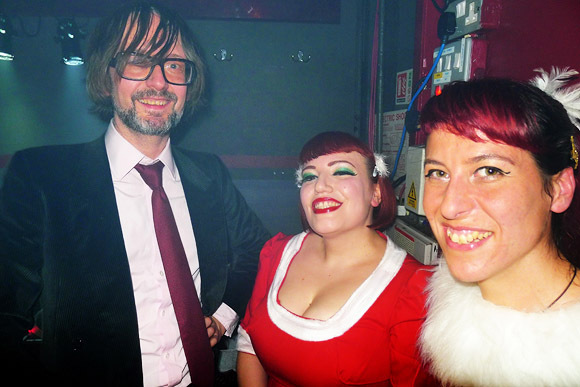 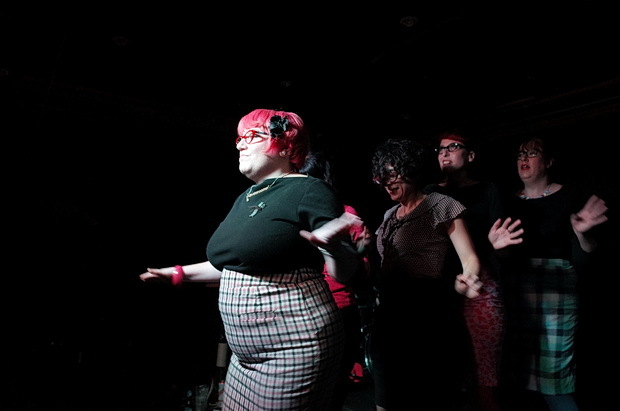 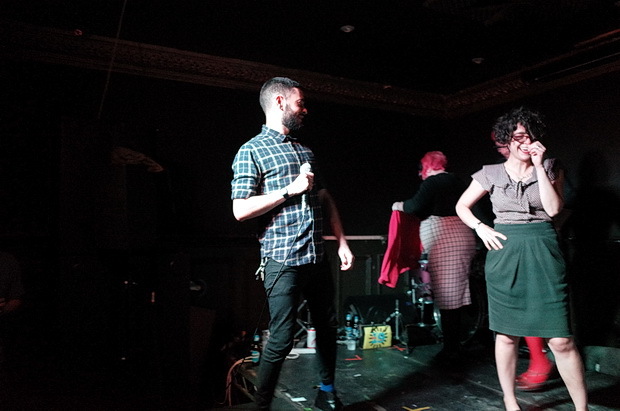 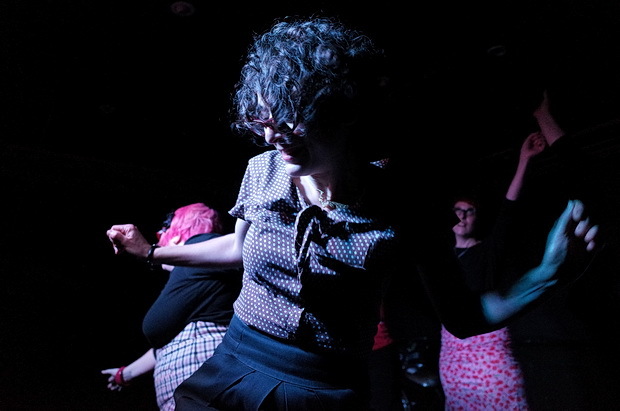 On Saturday night, there was a feast of Pulp songs on offer in East London, plus a high-energy, Pulp tribute go-go dance routine by The Actionettes. 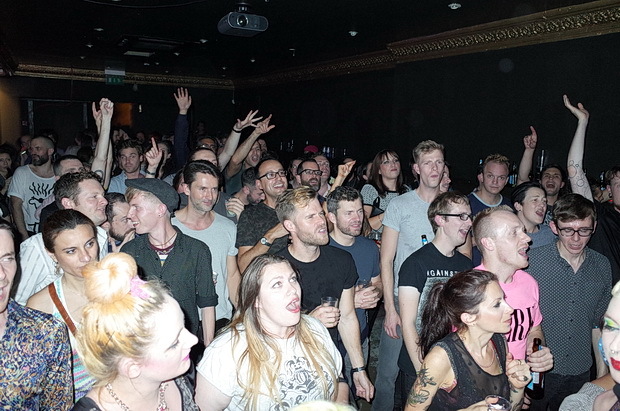 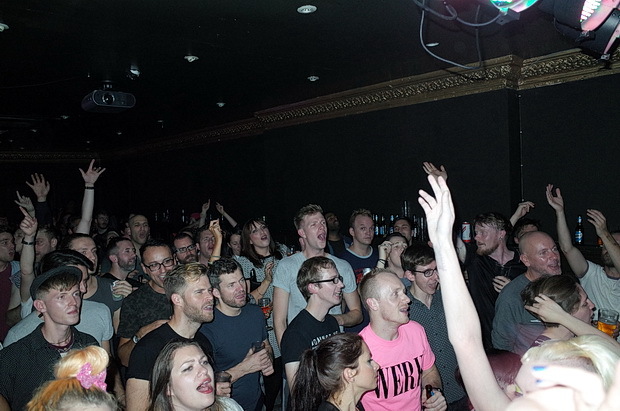 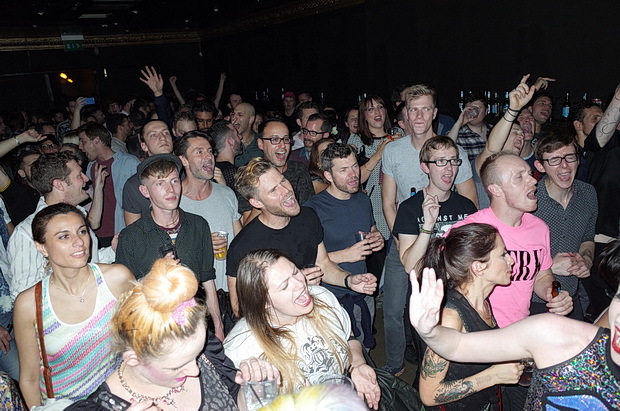 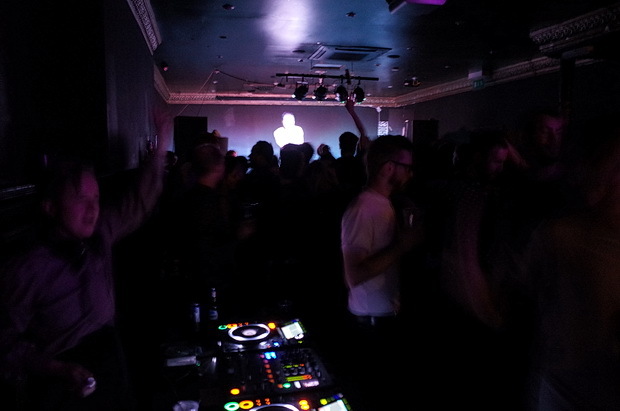 Taking place in the backroom of the rather splendid Victoria pub at 451 Queensbridge Road, E8, the evening saw a packed dance floor throwing their arms in the air to a classic selection of indie mighty hits. 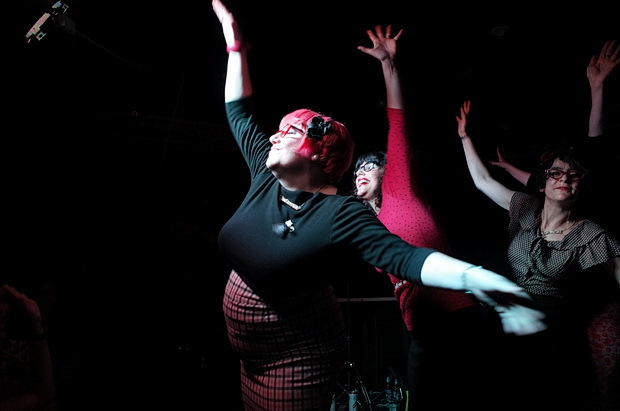 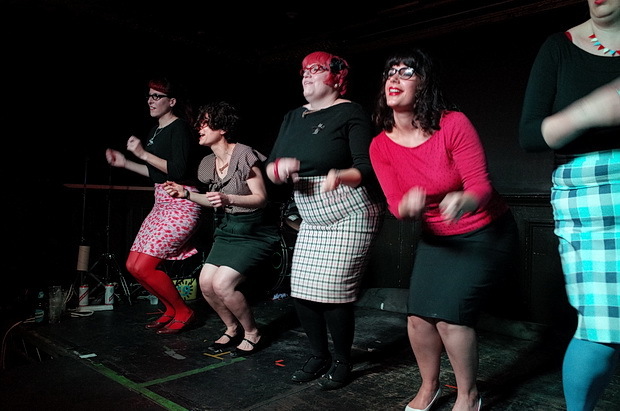 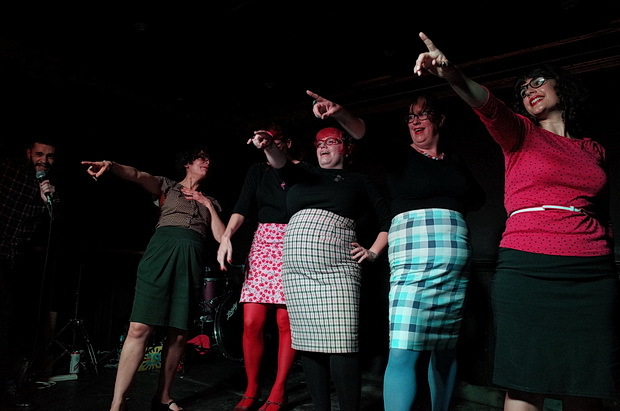 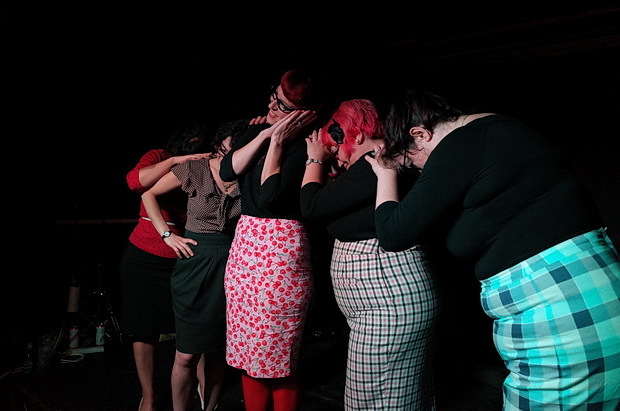 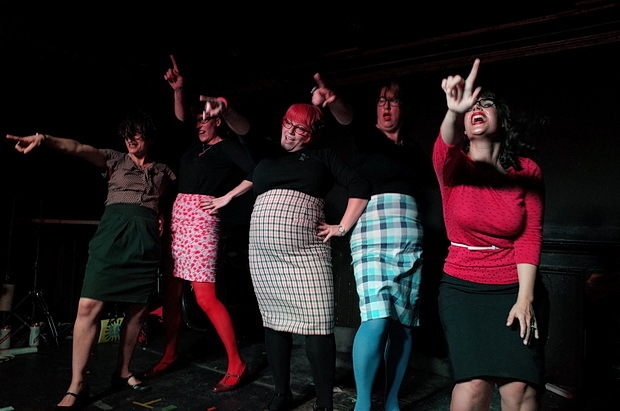 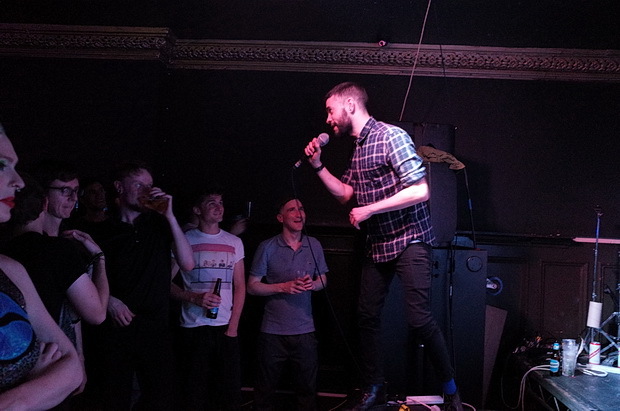 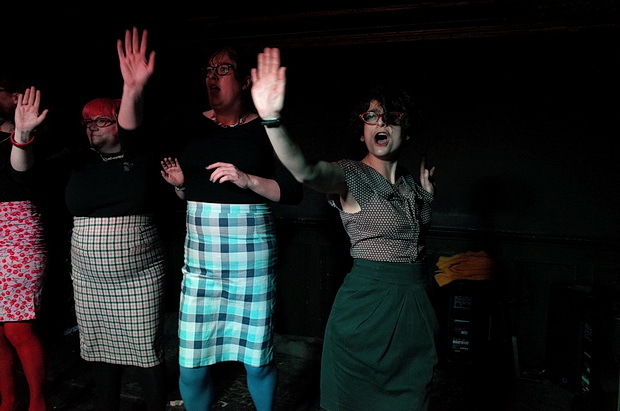 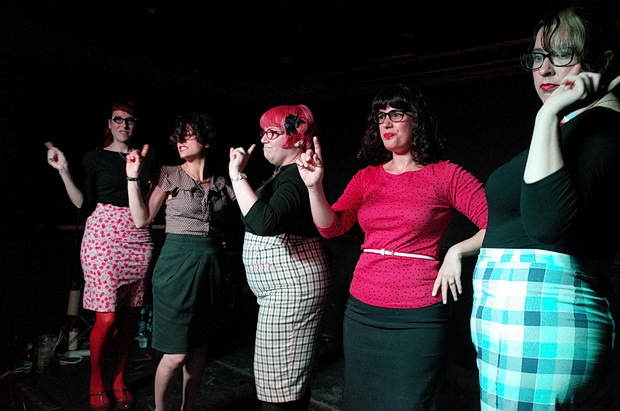 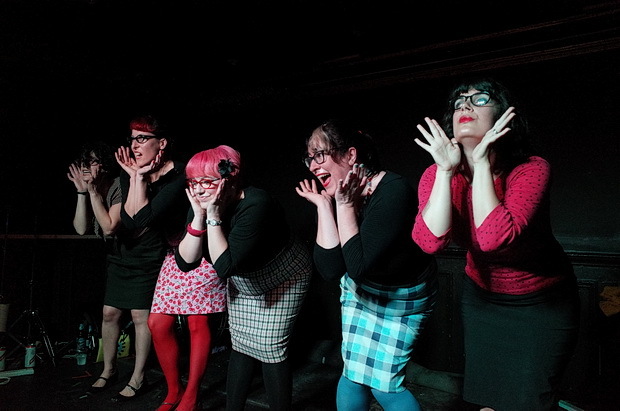 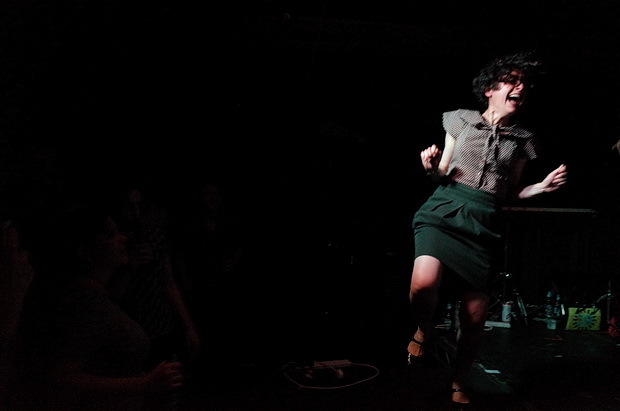 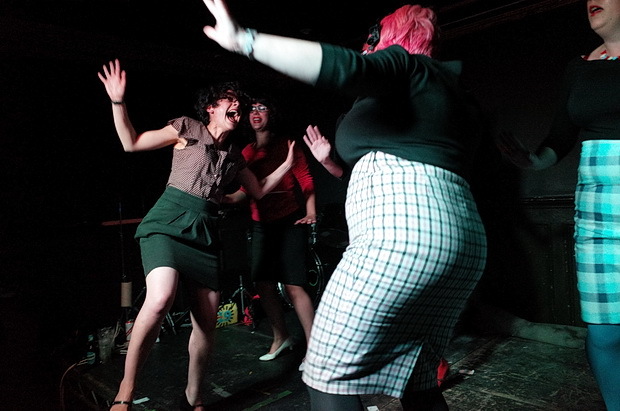 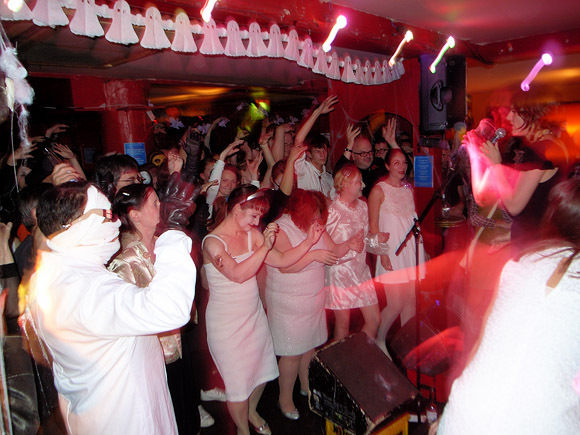 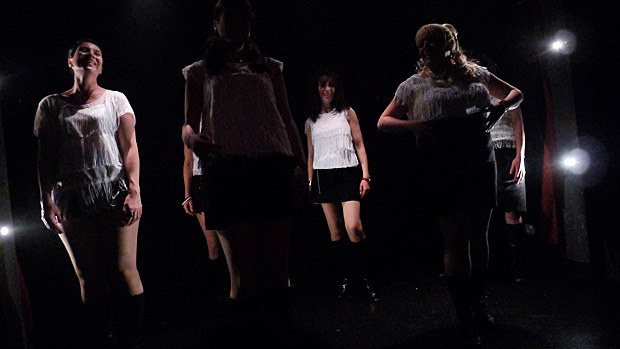 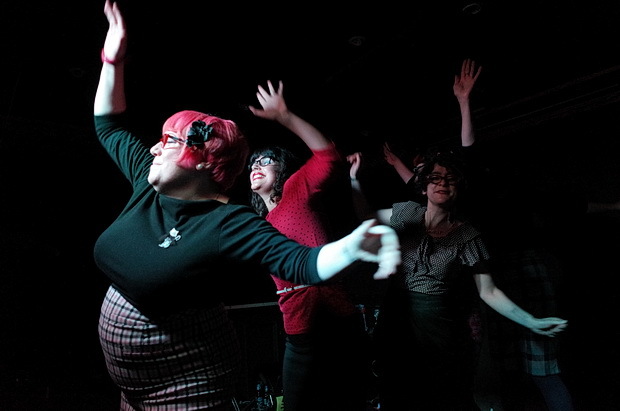 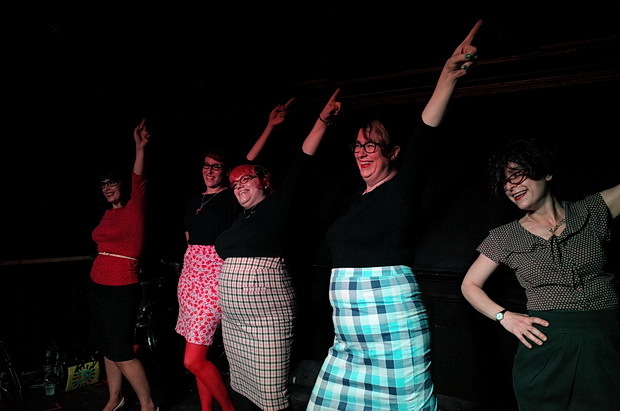 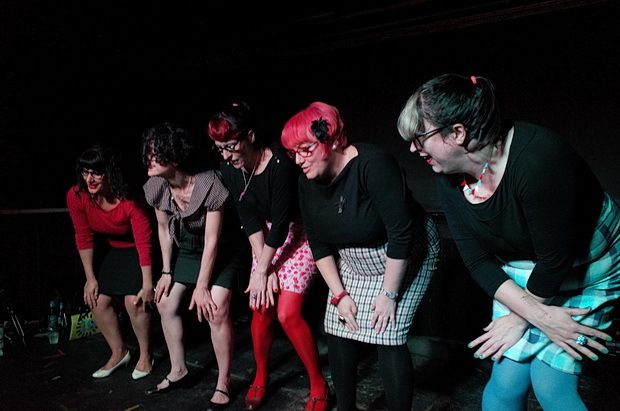 Headlining the night was south London’s The Actionettes. 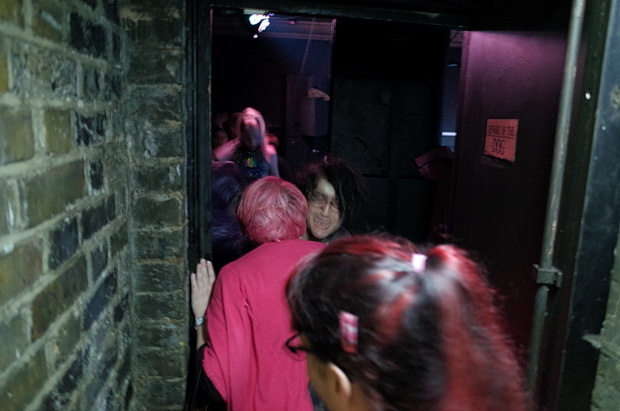 Here they are captured backstage, where the Cava flowed. 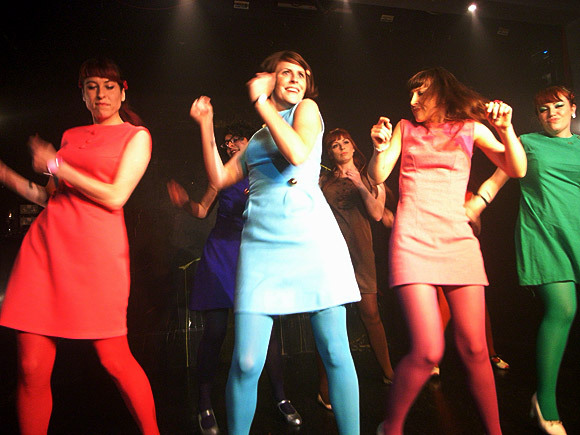 There was only one song that Actionettes could end on, and it’s one of the best songs ever written: Pulp’s Common People. 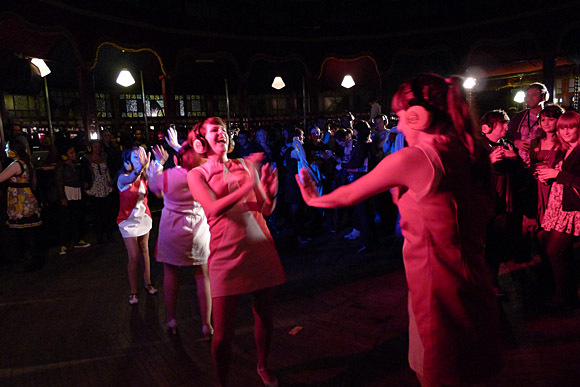 Find out more about The Actionettes here. 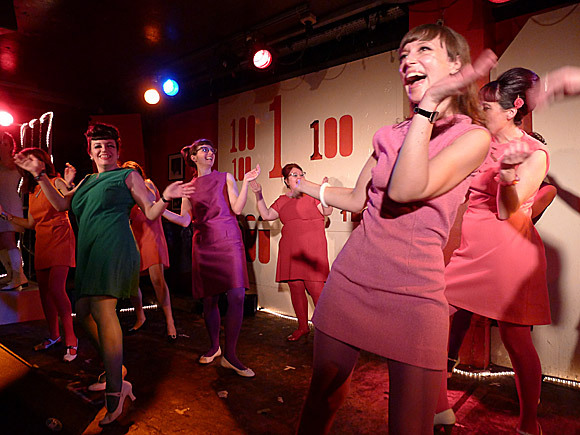 The Victoria is at 451 Queensbridge Road, E8 3AS London. 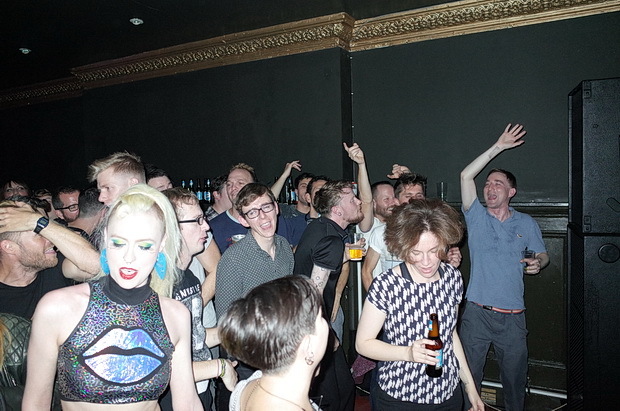 Looks like a proper old skool indie disco night….. 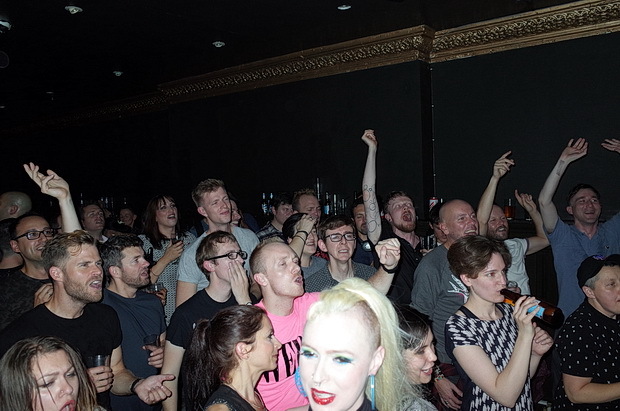 Thanks for this blog, love the pics! 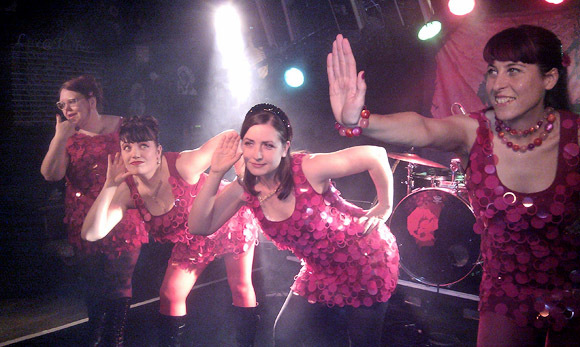 Pink Glove is back for 2016 soon, hopefully with more Actionettes action.